Seems like there's been a whole lot of corporate soul (an oxymoron?!) -searching this week, with two leading brands making moves to ensure they are aligned with their business values. In one case, I'm certain that this was the result of weeks of discussions internally, digging deep into what their brands mean, what and who they stand for and how a change in policy would impact the bottom line. In the other, it was driven by legal and political wranglings, but no less of a difficult decision. So are these brands losing face by changing tack now, when they might have taken these actions earlier? Or are they heroes because they can admit (or be forced to admit) when they are wrong? Patagonia is one of the most revered case studies when it comes to building a values-based, sustainable brand. It's as close as it comes to a brand which can walk on water. There are plenty of brands that we're just waiting to slip up. They accidentally tweet a typo and we're on them, trolling them for all they're worth behind the mask of social media. But Patagonia has a forcefield built over years of just doing the right thing. When it stumbles, we're fighting to offer it a hand up. It is a brand so in touch with its customers and its core values that it thinks nothing of turning away from potential revenues if there is a conflict with its mission: "We’re in business to save our home planet". This week's announcement that Patagonia would only partner with businesses which align with its goals and values is a big step. 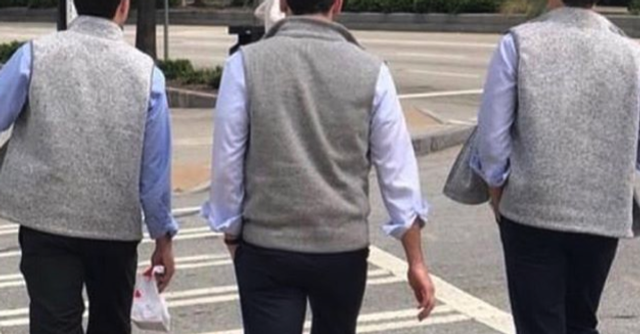 I challenge you to take a stroll down Wall Street or through Palo Alto for a morning without spotting multiple Patagonia fleece vests or backpacks adorned with the logos of tech unicorns and success stories. It is a mark of a business's success that you can leave their user-conference with some Patagonia merch! But the brand has now stated that unless you're also on a path to save the planet, or you're doing enough social good to qualify as a B Corp, they would rather not take your money. Potential revenue loss on the one hand, massive reputation win and never-ending customer love on the other. Now the cynics among you might say "Well they have made their money from these firms for years, why are they only changing their minds now? Great bit of PR that." But does it really matter? Who are we to criticise a business that is almost untouchable for taking another step in the right direction? The lesson: don't just know your values, hold yourselves accountable to them. Also this week, facing a discrimination lawsuit, Airbnb reversed its decision to ban listings in the West Bank. I'm not here to debate whether this move is right or wrong, rather to look at the implications from a communications aspect. Airbnb "exists to create a world where anyone can belong anywhere" and furthermore, "have always sought to bring people together", so the initial ban of listings for Israeli settlements in the West Bank seemed to contradict their mission. But in such a politically charged environment, was there a way to do the right thing when there would undoubtedly be another party in disagreement, potentially alienating a prospective customer set? So what do you do when faced with an impossible choice? You try to meet them in the middle while sticking to your core mission....and give all related profits to charity. There is no way to appease all parties and sadly, in the modern world, you could say that "anyone belonging anywhere" is altruistic but not achievable. We live in the age of the every day crisis. These examples are just two of probably hundreds this week alone. The common element above is a clear mission and values set, with two businesses trying hard to hold themselves accountable. If you're interested in hearing from your peers in the comms industry about how they are tackling issues, planning for crises and driving greater awareness of their values throughout their organisations, why not come along to our breakfast event on 15th May? We're discussing our recent research into High Stakes Comms and learning from the likes of KPMG, Schillings and TransferWise. RSVP to Maira now! "I'm so ahead of my time, my parents haven't met yet"